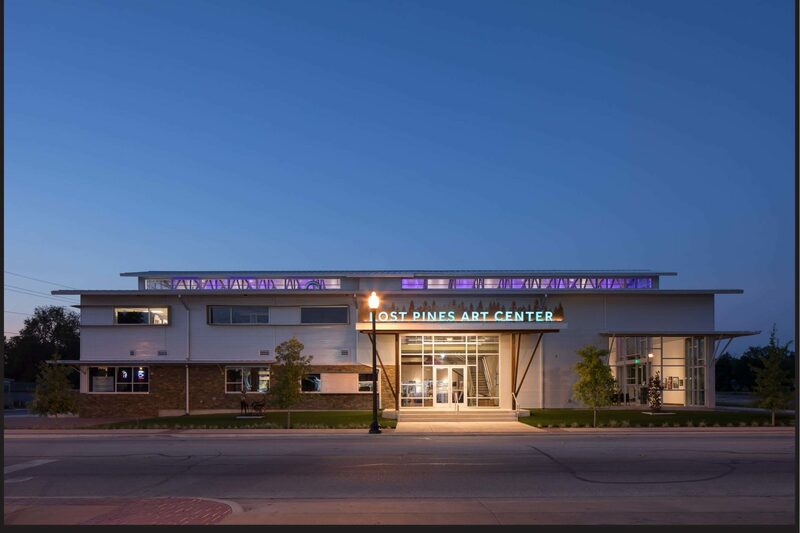 Pioneers in green building, we are devoted to providing comfortable, energy-efficient, high performance architecture. Taking the time to integrate the client's lifestyle expectations, design tastes, and budget constraints was imperative for a great outcome. Addressing the site, we pay homage to the views, solar orientation, prevailing breezes, geography and vegetation, as well as the context of the neighborhood. These are some of the elements that make your house feel at home in its setting. 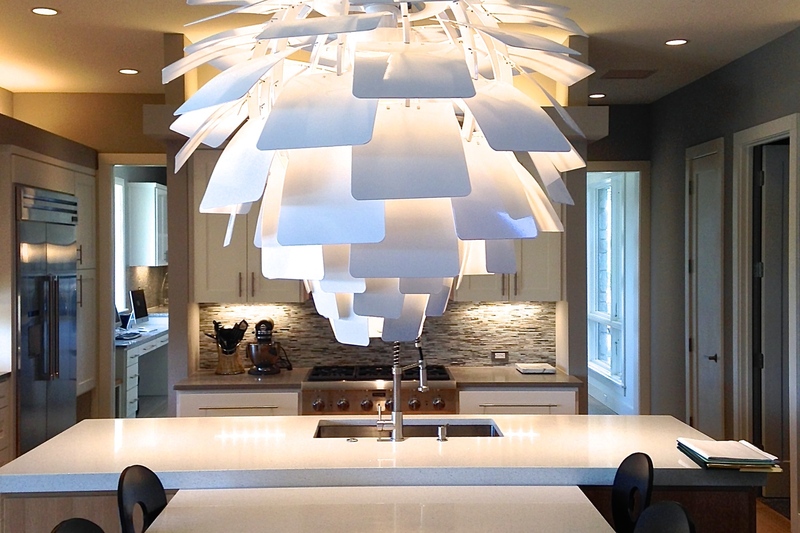 Ecologically minded clients also wanted to incorporate FUN into their home! 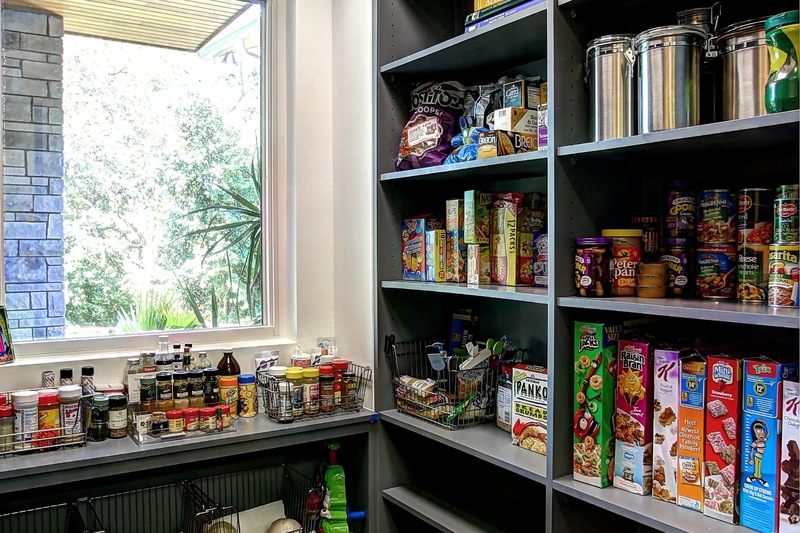 Not only did we pay special attention to the site and its micro-climate, but we introduced the clients to products that are healthier to live with, yet easy to obtain regionally. 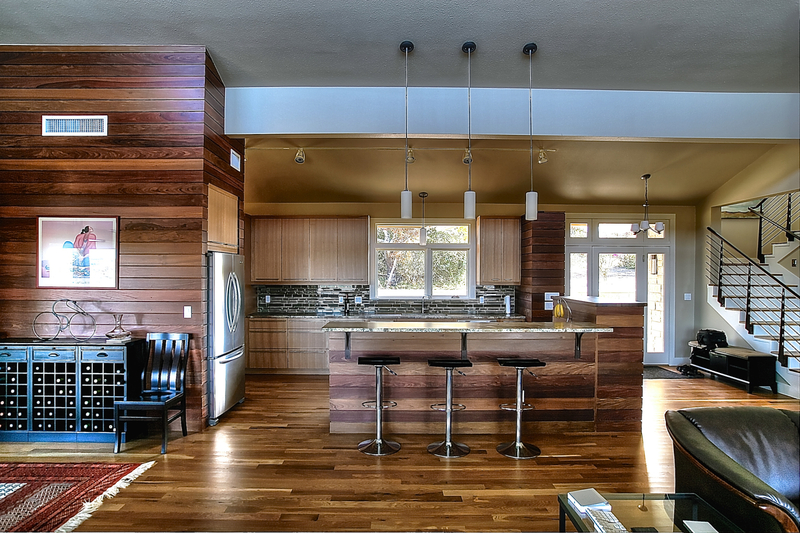 We believe in using space wisely to create a true sense of “home” while incorporating an innovative flair. 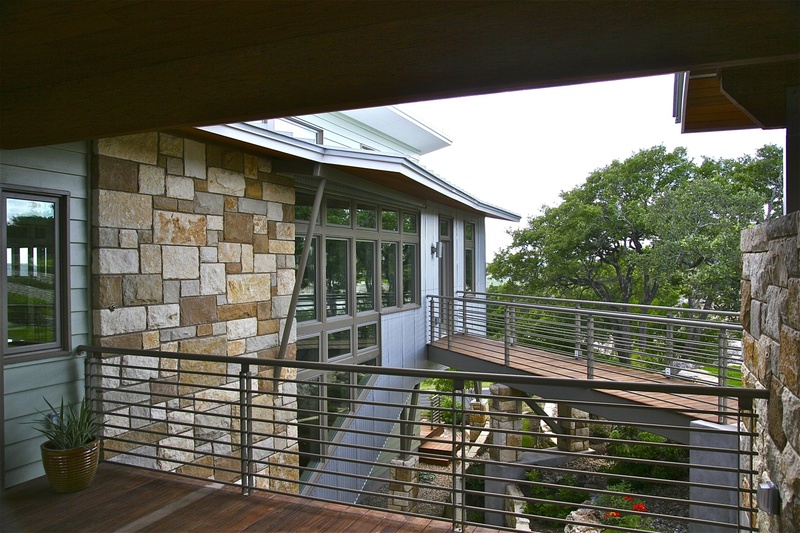 This site specific home is laid out to efficiently work with the topography, orientation, views, and breezes of the Texas Hill-Country. 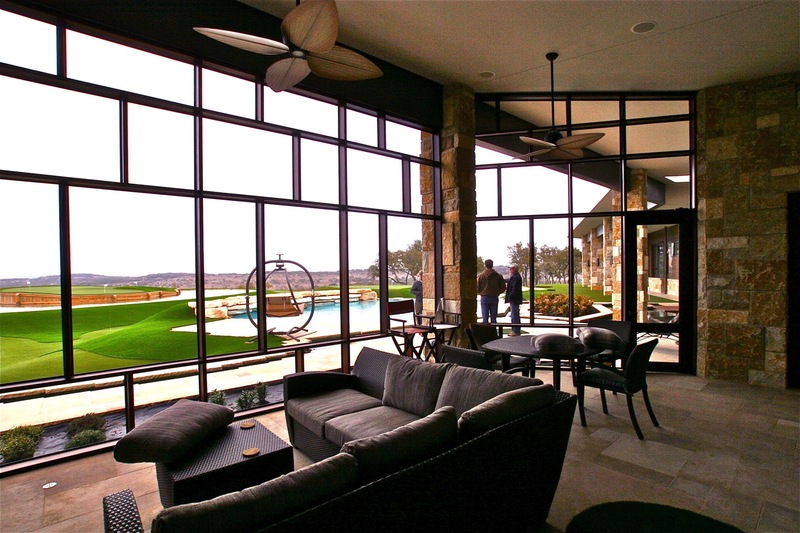 Overhangs, awnings, and deep covered patios provide passive solutions to keeping direct sunlight from entering into the house while still allowing large window openings to connect to the outdoors. 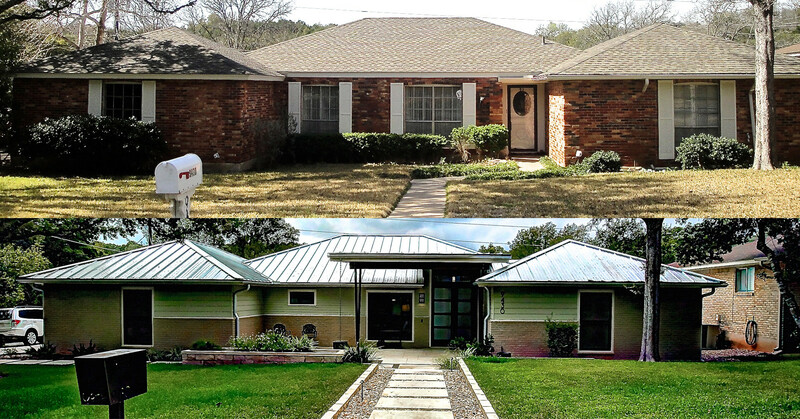 Located in Lakeway, this two story house owned by our clients needed some serious upgrading. After discussing the clients' ideas we were able to come up with not only a beautiful, but functional energy saving design. 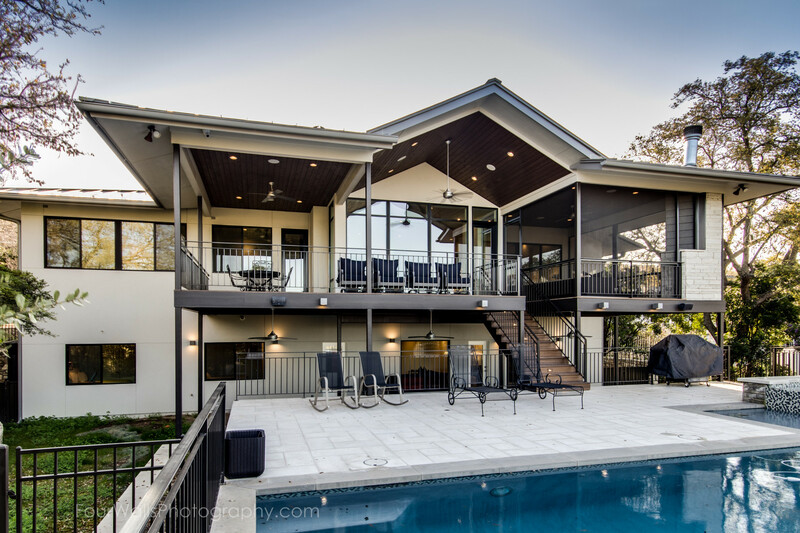 Some of the key unique features include a screened-in porch with a wood burning fireplace and a view, large overhangs that double as a cover for the porch and patio, swimming pool with a hot tub, and tall windows to bring in natural lighting. 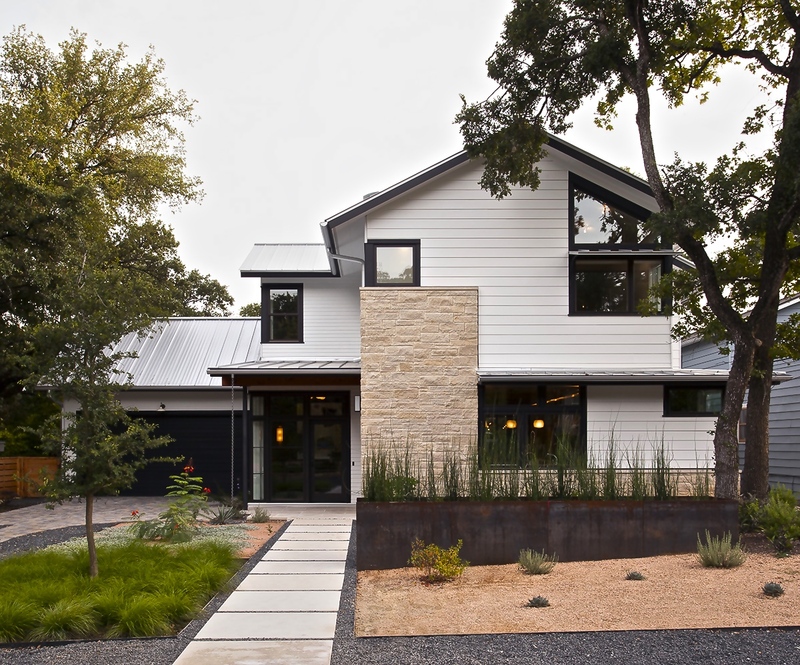 In the Steiner Ranch neighborhood of Northwest Austin our clients wanted to build a family home that would provide a comfortable backdrop for them to raise their two sons. They found the perfect property sitting at the edge of a ravine with great views that faced to the southeast. 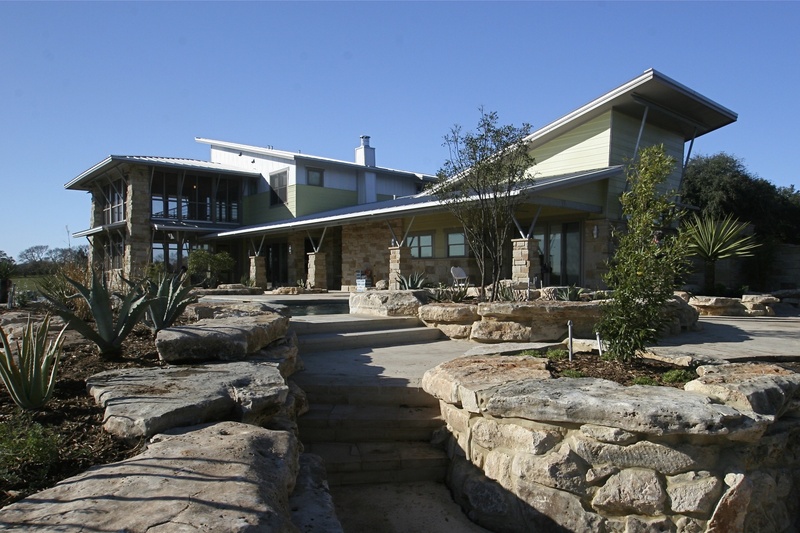 The set was staged for the new home to be with perfect orientation for the Central Texas climate. Everything we do, we do first with our client's need in mind. The space you're building should be unique; not only in appearance, but also in how to feels. We take your needs to heart and ensure that what we deliver looks great and feels right. "We've never had as much fun living anywhere as we've had living in this place. 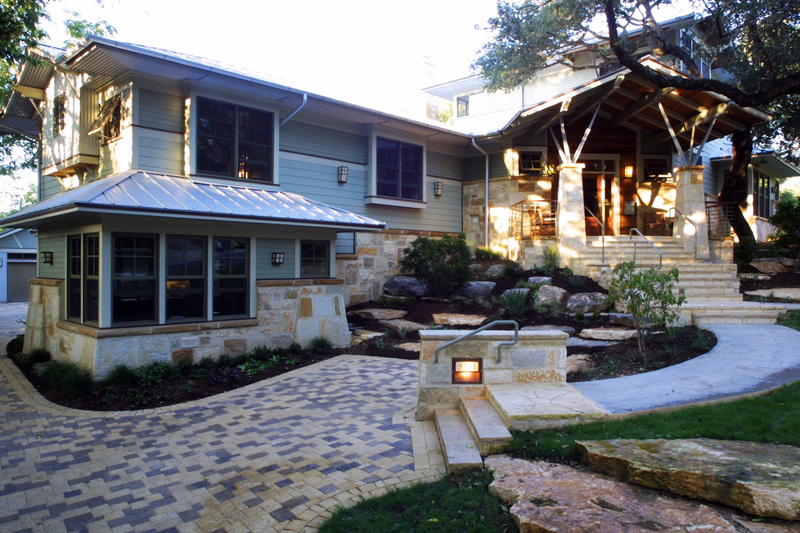 It has just been a joy"
As you know, we have been in our Hill Country Home for several months now. We continue to love every aspect of it. We think of the design process and three of you frequently. 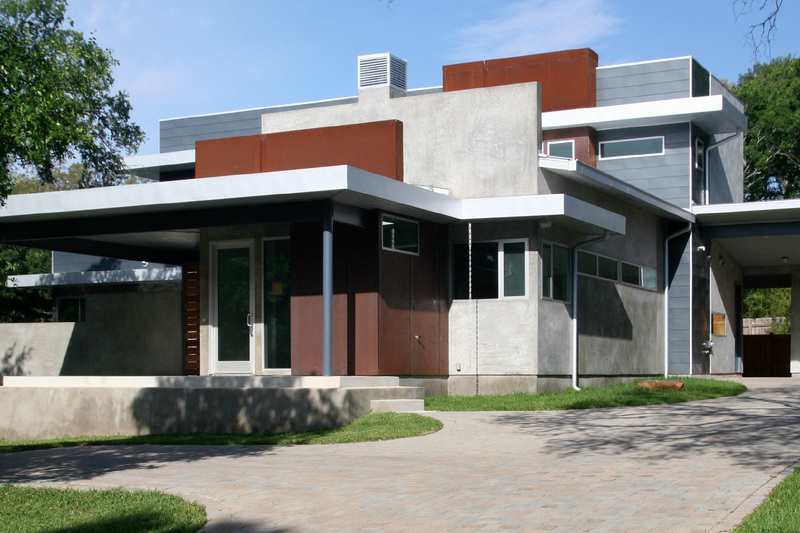 We worked with an Architect years ago in California. We have also worked with a number of home designers over the years. None of those experiences can compare with our experience with Barley & Pfeiffer. This is true of the design process, managing expectations against budget, cost forecasting, breadth of knowledge, attention to detail and project management. The combination of innovative design coupled with your knowledge of builder performance (thermal envelop, mechanical systems, lighting, etc.) is the best I have encountered. Also, Sharon’s inspection reports were the best I have seen. It was truly a pleasure working with professionals such as yourselves. 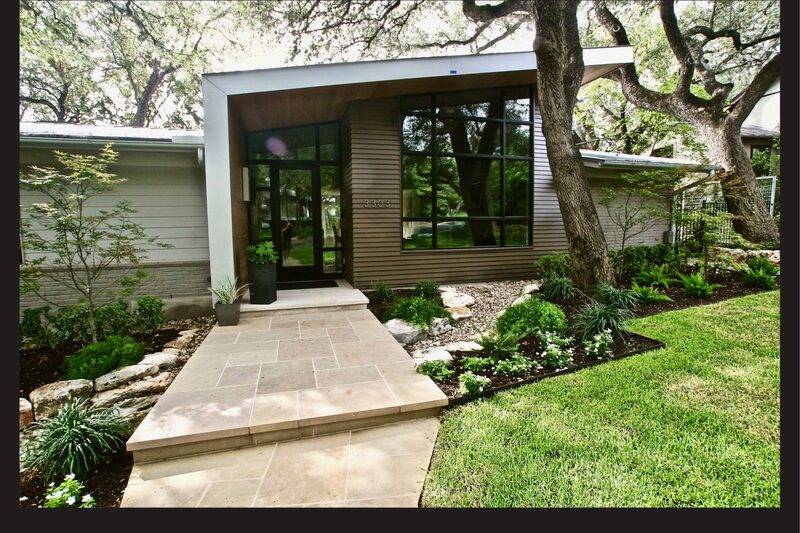 My wife and I used Barley|Pfeiffer to design our lake house. Initially we thought we were going to do a major remodel. After getting that set of plans done, we then decided to go for a complete rebuild which they also did the work on. These people were real professionals through the whole process which stretched over 2 years in just the design process, not counting the 17 months of construction where they also stayed involved and provided guidance. The final product is a house that we love and has gotten numerous positive comments from our friends and guests when they see how the house is designed and laid out. Peter, Alan, Steve and Matt were great to work with and we highly recommend them.